Russian scientists propose a new code-division multiple-access signal format to be broadcast on a new GLONASS L3 signal. Once implemented across the modernizing GLONASS constellation, this will facilitate interoperability with — and eventually interchangeability among — other GNSS signals. The flexible message format permits relatively easy upgrades in the navigation message, if required. 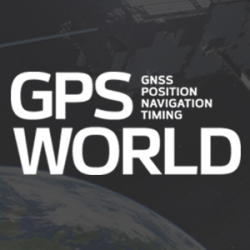 Navigation messages (NM) developed and broadcast so far, by both GPS and GLONASS, are fixed, regular structures including pages (frames), subframes (rows), and words. Despite their simplicity, such structures are very conservative. The only possibility to update such navigation messages is restricted to the use of previously allocated backup frames. Increasing numbers of such frames make for ineffective use of navigation message transmission capacity. Conversely, the relatively small number of backup frames restricts the potential for future navigation-message upgrades. This concept is illustrated by the next two figures. Figure 1 shows the structure of GPS NM superframe.nBackup subframes are showed in bold dots. We can see that from 125 subframes of a GPS NM with a duration of 12.5 minutes, 14 subframes (or roughly 11 percent) are backup ones. Figure 1. Backup of GPS NM superframe. Figure 2 shows the structure of GLONASS NM. Backup frames with indication of bit numbers are shown by unhatched fields. In the GLONASS superframe with a duration of 2.5 minutes, these bits occupy only about 3 percent. 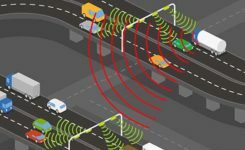 If we assume a data equivalence transmitted in the GLONASS and GPS navigation solutions, we can see that data transmission rate in GLONASS is five times as much as in GPS. This is explained by the higher redundancy of the GPS NM. Besides the roughly 11 percent of subframes kept in backup, the GPS superframe reserves field for transmission of 32 satellite almanacs, although the number of satellites in GPS constellation is always less than 32. As a result, the NM transmission channel in GPS used ineffeciently. For GLONASS, the situation is different. The NM includes only about 3 percent of backup bits, and the superframe reserves field for transmission of only 24 satellite almanacs. This significantly increases the NM transmission channel efficiency relative to GPS, but causes big problems during any process of system update. In these cases, upgrades or updates should only occur when they furnish backward compatibility, which means that previously manufactured user equipment can still maintain its compatibility with the updated system. When generating a NM in the form of fixed, strictly regular structures including pages (frames), subframes (rows), and words meeting the backward compatibility principle, this means that update sonly can be done using backup frames, because modification of basic, non-redundant frames will produce problems with earlier user equipment health. From this point of view, a large number of backup frames in very preferable. Difficulties. As an example, let us consider the problems that arise in the process of a GLONASS upgrade, the purpose of which is to increase the number of GLONASS satellites in the constellation up to 30. Such an upgrade can be done in order to exclude areas of dilution of precision (DOP) degradation that arise due to GLONASS’s symmetrical constellation geometry. To provide that the rule of backward compatibility is met, it is necessary that almanacs of six extra satellites be placed in backup bits of the superframe. But the number of such bits in the GLONASS superframe (as shown in Figure 2) allows placement of only one satellite almanac. Thus in the case of such an upgrade, the almanac of the first basic 24 salellites will be transmitted within the time of 1 superframe, that is, 2.5 minutes, and the almanac of the xis extra satellites will be transmitted consequently in backup rows within the time of six superframes, that is, 2.5 × 6 = 15 minutes. Figure 2. Backup of GLONASS navigation message superframe. A New Way. Avoiding such difficulties associated with NMs with fixed, strictly regular structures including pages (frames), subframes (rows), and words is possible through the use of a NM with flexible row structure. Such a structure was formed for the first time for the GPS L5 signal. In this structure, the NM is formed as a variable-row flow of different types. Each row type has a unique structure and contains specified information type, for example: ephemeris, almanacs of specified satellites, parameters of Earth pole movement models, parameters of ionosphere delay models, and so on. Deploying a Growing GNSS. A flexible row structure of the NM provides more effective use of NM transmission channel capacity, especially during the stage of system deployment which, as experience has shown, may last several years. During this stage, the GNSS orbital constellation is not complete and thus the NM may be generated as a row flow containing almanacs of only those satellites that are actually included in the orbital constellation. Reducing the number of rows with satellite almanacs allows reducing the time interval per which ephemeris are transmitted. Obviously a NM with fixed regular structures does not permit this capability. The main advantage of a NM with flexible row structure is the possibility of its evolutional upgrade meeting the rule of backward compatibility. For this purpose, the ICD of respective signals for developers of user equipment states that if the user equipment encounters unknown row types, it should ignore them. This allows adding new row types in the process off GNSS upgrade. Including rows of new types in the NM certainly lowers the transmission rate, relative to rows of old types. 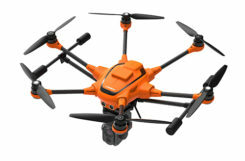 Previously manufactured user equipment ignores rows with new types and therefore does not use innovations introduced in the process of GNSS upgrade, but at the same time its health is not affected. More recent user equipment gets the opportunity to use data both from old and new row types and therefore to use introduced innovations. In this case, user equipment upgrade replaces old software versions with new ones. This replacement is not due to any invalidity of old software version, but the equipment owner’s desire to benefit from the innovations introduced by GNSS. Very old row types may on the other hand be removed from NM. At that point, very old and not-upgraded user equipment would become non-operational. This situation is quite normal because it may be considered as excluding excessively obsolete user equipment from operation. When using flexible row structure, a GLONASS NM upgrade as in the previous example on exceeding the number of satellites up to 30 would mean simply exceeding the number of rows with the type defining the structure of almanac data. In this case, transmission rate of ephemeris and almanac would certainly degrade a little, but it would require no conversion of user-equipment software. Status. Currently GLONASS uses signals with frequency separation in L1 (1592.9 – 1610 MHz) and L2 (1237.8 – 1256.8 MHz). The system upgrade now underway will in the long-range outlook turn to signals with code-division multiple-access (CDMA) in L1, L2, and L3 (1190.35 – 1212.23 MHz). One satellite has been launched transmitting signals with code separation in L3. The NM of all new GLONASS signals with code separation, or CDMA, will have flexible row structure. Documents are now being developed concerning NM row structure of this type. For example, Figure 3 shows the structure of 20throw type for open signal L3OC with code separation in L3 containing almanac. L3OC signal rows contain 300 bits and have time interval of 3 seconds. Figure 3. The structure of 20th row type for GLONASS open signal L3OC with code separation. CRC control bits of cyclic redundancy code. The above parameters of 20th row type are service parameters. Their content remains unchanged for all NS rows of L3OC. The following parameters of 20th row type are information parameters. ΔTA Zodiacal orbital period for the satellite with the number j. The author would like to thank Sergey Karutin and Dmitry Lerner for help in translation of this paper. Alexander Povalyaev is deputy head of division in JSC Russian Space Systems and a professor at the Moscow Aviation Institute. He has been developing methods and algorithms for GNSS carrier-phase measurements processing for more than 30 years. Currently he focuses on developing new code-division GLONASS signals. 1 Comment on "New Structure for GLONASS Nav Message"